Effective communication and accurate documentation are two of my main priorities in quality patient care regardless which side of the bedside I find myself. These are both basic skills taught in the first nursing courses and emphasized throughout. My nursing career stemmed from experiences as a family member who was completely lost at times and whose family was left in the dark about the diagnoses, care and treatment, etc. ; long before HIPAA defined levels of communication. There always seemed to be a lot left on the table and that things could have been much more efficient and effective if everyone was on the same page. Instead we were often all on different pages and going in different directions. Communication is a two-way street and if either speaking or listening is cut off; the message is lost. I find that physicians are much more open when they found out I am an RN with years of experience. Sometimes their ego gets in the way. But just sometimes we click and things get explained; questions answered; and outcomes improved. I’ve had the privilege over the course of forty plus years as a nurse to care for many family members and to “translate” the jargon to help them understand, learn and cooperate. Communication is so essential to quieting fears, dispelling myths and rumors, and educating patients. To remain HIPAA compliant, I will share my own experiences. As a patient myself, I’ve experienced good communicators and some of the worst! In the midst of an emergency anaphylactic reaction, for instance, I had my nurse tell me repeatedly “when I have chest pain, I need to alert her.” I wasn’t having chest pain and didn’t think I would. But she was insistent and that lead me to believe I should expect chest pain and it frightened me. I lay there scared to move a muscle or even breathe deeply for fear I would cause my heart to misbehave and cause harm. Indeed, the issue was “If” I had any chest pain I needed to alert her. Well, that’s a completely different scenario and should have been predicated by explaining it wasn’t likely to happen, but if it did, I needed to call her. Never assume a nurse who is a patient in the ED is on her best game. What if I wasn’t a nurse? I could have been frightened in to having chest pain. When instructing a patient, always be clear with your expectations and explain why you’re giving these instructions. Clearly, English wasn’t the nurse’s first language, but who let this nurse continue to practice using the WRONG terminology? The previous shift had been so good at letting me know what was happening and why they were doing things. I was comfortable and able to relax and let things take place. The next shift was plain awful, and by the way, I pride myself on acceptance and welcoming of diversity. I appreciated her nursing skills, her care and concern and her efforts to keep me safe and comfortable, but she needed guidance to improve her delivery and clearly was not getting it. That made me very sad! I was angry at the people who onboarded her and who supervise her. How many other patient care issues were the result of her poor communication skills? Were they even aware? I was never able to access the records and find out what she actually documented, but I’m confident it too left much to be desired. Beyond English not being a first language, there are so many nurses who struggle with communication in their own language be it English or not. Communication is key to patient outcomes and we need to work together to help improve it for all. I can’t emphasize it enough. Communication is essential to quality patient care and improving outcomes. 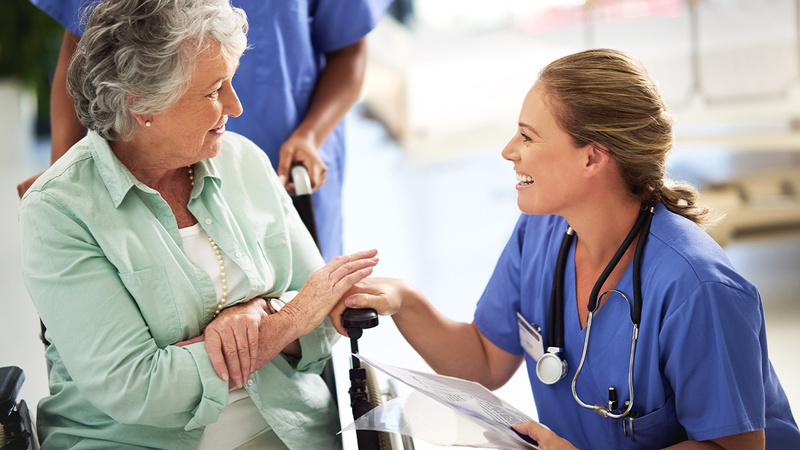 Nurses are the backbone of the healthcare industry and charged with more and more responsibilities in patient care from initial assessment to discharge and everywhere in between. Nurses need to be current with skills and knowledge base on all levels of practice and continuing education courses for nurses provides this opportunity whether or not it is required for relicensure. Nurses are required to have and use the expected knowledge base for safe patient care. They should be oriented and supervised as they provide care with constructive criticism to assist them in improving themselves and their care. Documentation is just as important to the quality of the care and treatment. It’s not necessary to reinvent the wheel or start over each shift. From one point of care to another, communication will bring the oncoming nurse up to speed on what’s happening and the documentation should make it crystal clear what was and wasn’t done. (Remembering always, if it isn’t documented, it wasn’t done.) Anyone should be able to pick up a patient’s chart and know exactly what his issues are and what has been done about them and what the measurable goals are for today and the future. Patient outcomes and progress toward measurable goals helps the next nurse know where to go from here. Another personal experience was when I was about 2 days post op from a ruptured ectopic pregnancy at about 10-12 weeks. I was extremely uncomfortable. The air pumped into my abdominal and thoracic cavity during the surgery was trying to find its way out and would get caught in cavities. I’d have intermittent sharp pains and dull pains often in my shoulder area. At one point I could not adjust my bed due to the excruciating pain and I was restless. After the third time the nurse came in to assist me with raising or lowering the head of the bed, she was totally exasperated as she tried to show me how to operate the bed (again). I SHOUTED at her that I know how to do it! I just couldn’t operate the mechanism because of the PAIN in my shoulders! After a couple of questions and brief assessment, she knew exactly what was happening (while my nurse brain was still mush from anxiety and anesthesia) and brought me a cup of hot tea. She and tea became my best friends! Sadly, a lot of pain could have been avoided and the nurse would not have had to come help me raise or lower the bed every 20 minutes. I know she thought I was an idiot and a princess. Believe me, I would never call someone for help unless it’s absolutely the last resort! If she had assessed the situation and effectively communicated with me from the beginning instead of assuming and being huffy, we’d have both been better for it. After all, she saw this type of situation often on the L&D unit. She knew exactly what and why I was experiencing this as soon as I shouted at her. Why hadn’t anyone assessed me for this common post op experience? Instead of complaining that we are overworked and don’t have the time to make complete assessments, so much time could have been saved with a little specific communication.